So, I guess today officially starts up “garage sale” season. I have been out of it for a while because I haven’t been finding many things. Today, we did good though. My wife was uber excited to get out there. It started out slowly, but we did end up getting some cool things, like several ps2 games & dvds (including nearly the entire Scrubs series) for a quarter a pop – can’t beat that! Also picked up some furniture pieces, and other miscellaneous items. But I know you all don’t care about that stuff much. 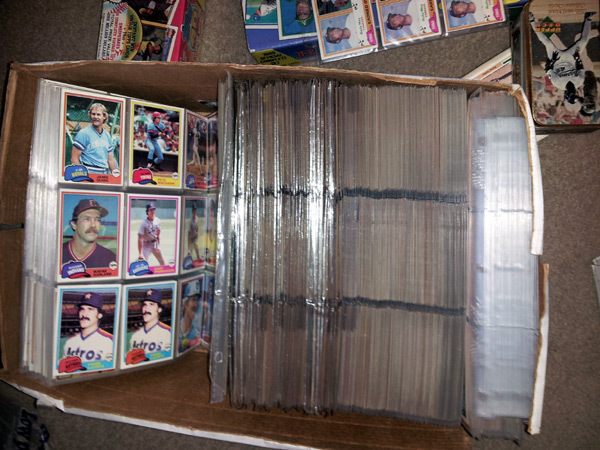 These sales are few and far between, but I did see a family selling their cards. 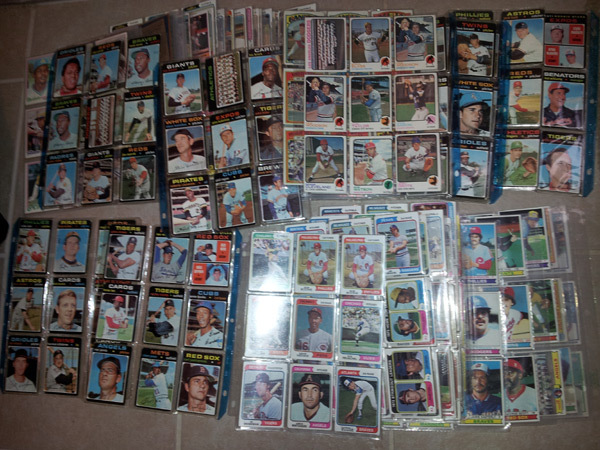 I saw a few junk wax era complete sets, along with a box full of pages with cards in them. They said they would take $1 per set. Why not? I asked – then I asked how much would it be for all the cards, and they seemed a tad shocked I would be interested. They said $10, so I took the gamble. some autographs that are personalized – they look to be from John Elway (can you say custom cut auto soon? 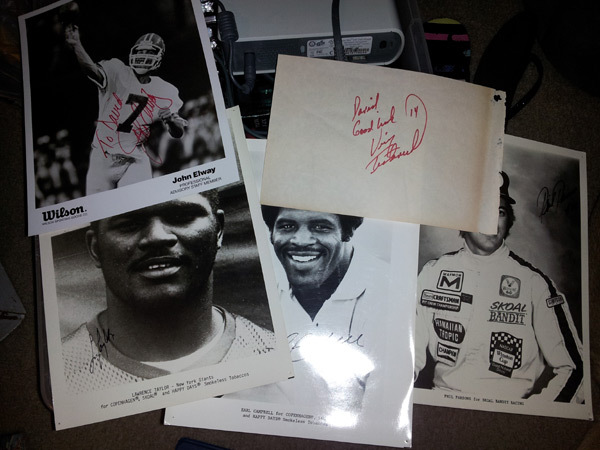 ), Earl Campbell, Lawrence Taylor, Vinnie Testeverde (I think) and Phil Parsons. 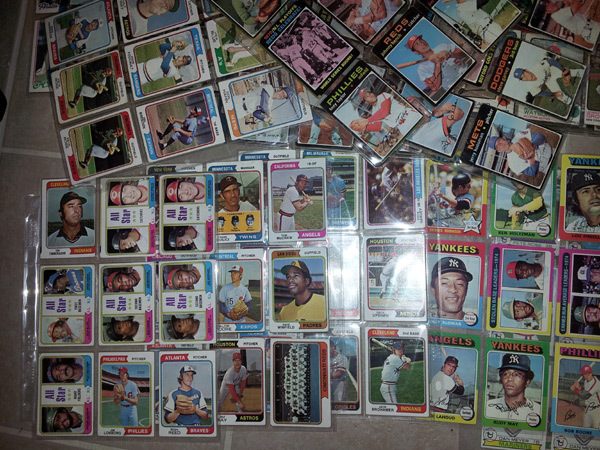 He said there was some hank aaron, etc. I thanked him and was thinking ok sure … turn back the clock 80’s stuff. 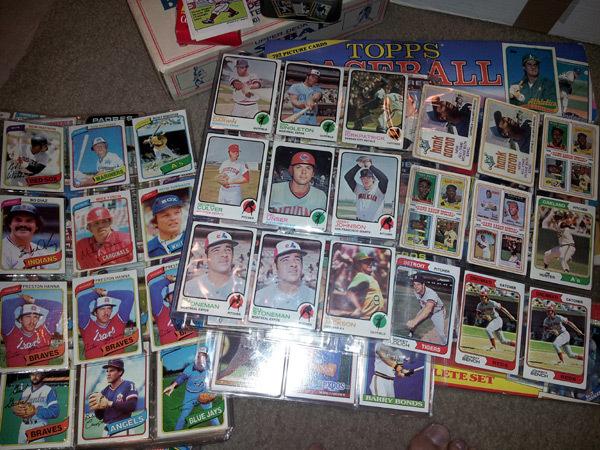 Well, I kept going through some cards, and lo and behold … some vintage! 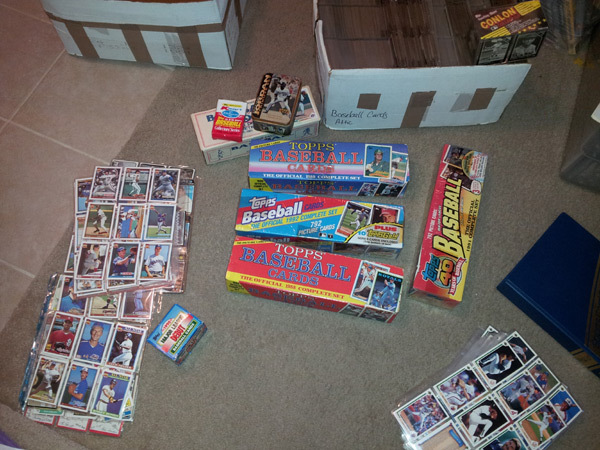 Note the Rickey Henderson rookie, Reggie Jackson, Hank Aarons and Johnny Benches! Several of the earlier cards are a bit rough … not beat to death, but not pristine either. That is fine though – heck of a pickup and I’m happy as a clam with them. Nice, very nice for 10 bucks ! Tons more than 10 bucks worth. If that's a complete Conlon set that would do it. 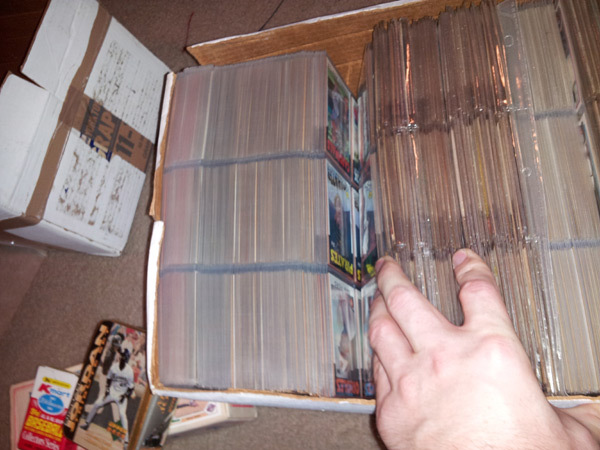 Heck, cards aside, there's 10 bucks worth of plastic pages there. Amazing! Wow. You have amazing luck. What a haul.